Liquid, through gravity or mechanical force, is drawn through a semi-permeable, porous or chemically saturated substance that allows the liquid molecules to pass through while inhibiting the passage of particulates and chemicals. Liquid filters can block even microscopic contaminants as small as 0.001 µm. Often several of the same or dissimilar filtration products, generally known as liquid filtration systems, are employed in conjunction with one another for more complete and efficient purification. Placed in short succession with increasingly high restrictive properties, this liquid filtration system progressively increases particulate separation in order to prevent clogs and promote product longevity. The degree of filtration required depends largely upon the application as well as the intended use for the clarified fluid. Medical, food and chemical processing, for instance might require such precision, whereas printing and refrigeration might block the passage of only larger particles. Beyond these examples, liquid filtration is utilized in such broad industries as textile mills, cosmetics, automotive, petroleum and oil, paper and pulp, marine, electronic, photographic, waste treatment and pharmaceutical. Essential to the everyday operations of virtually all industrial facilities, base liquids may include coolants, corrosive chemicals, gasoline, diesel fuel, hydraulic fluid, lubricants, oil, inks, dies and paints. Water filtration, however, makes up a significant portion of all liquid filtration as it is integral to not only the aforementioned industries, but commercial and residential settings as well. No matter the specific liquid, suspended contaminants are collected, trapped, absorbed, dissolved or otherwise removed or reduced from fluid flow lines through the use of various material and chemical media. While chemical filters employ activated carbon and clay to attract and trap negatively charged particles; cartridge filters, bag filters and strainers utilize material barriers or mats to eliminate excess or unwanted debris and impurities. Organic and synthetic materials, such as cellulose, cotton, sand, paper, fiberglass, ceramics, metal, nylon and polypropylene provide matrices or lattices of variable porosity and permeability. These materials are known as the filter media. The filter itself is the housing, holding or framing used to keep the media in place. These elements are made of more durable materials such as strong thermoplastics, aluminum, stainless steel and steel. Filters and purifying media may be purchased separately or in pre-assembled units depending on the intended use. Manufacturers and suppliers can provide helpful insight into the necessary liquid filtration for a specific application. 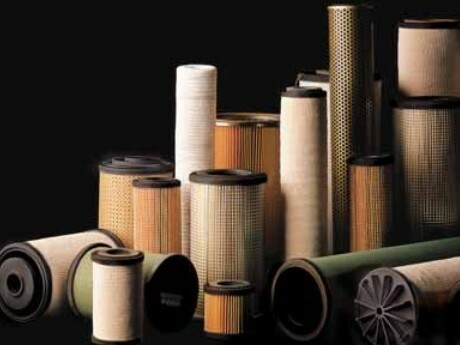 While porosity and permeability are among the most important factors in filter selection, additional considerations include rate of flow, fluid and particulate composition, pressure drop, continuous versus batch operation, size, absorption, ply, operating temperature, load capacity and the efficiency or accuracy. Liquid Filtration Liquid filtration is the systematic removal of organic and synthetic impurities from a fluid process stream. Though filtration systems vary considerably, the basic process is similar in most.